As featured in Oprah's letter to readers of the November 2013 O Magazine. This well-priced book is tremendous value and would be lovely as a gift or for personal use. Awakening each morning at sunrise, Ann Mortifee developed a fertile stillness that has led to an ever-deepening awareness. This past year, she recorded these thoughts in her journal, and from these evocative and inspired messages, In Love with the Mystery emerged. 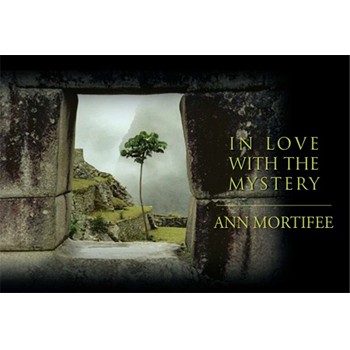 Every passage in this book is a testimony to Ann's commitment to this deep listening. Her words invoke a quickening through which we too can waken more fully to the gifts in our lives. On the available download, recorded with her husband, world renowned musician Paul Horn, Ann's voice transports the listener. This inspired musical offering, a marriage of two visionary souls traveling together, is an added gift to be experienced alone or in union with the book.